I do one thing on Tuesday nights. That's right, one thing. Don't even start thinking about me eating or satisfying my visceral needs or attending to family emergencies. I said I do one thing on Tuesday nights, and I mean it. One thing. Got that? Beginning at 6 PM, I sit together with five other people --- four women and one man --- and we critique each other's writing. We continue on in that endeavor for three solid hours, without interruptions, with no kids present, no spouses interrupting, and all cell phones off. Well, let's be practical here; there are emergencies, but they darn well better be occasional. The typical mode of our endeavor has us going over twenty-four pages --- four pages each. I've wanted to blog about this endeavor for a while. So now I am, and I want to do it consistently. However, don't cross your fingers about that. Whoever's turn it is begins by handing out copies of their four pages to everyone else and then reading them out loud. Their four pages consist of of whatever they choose. They determine that. For the most part, what is worked on are novels. But there are exceptions. For example, D has been working on a dialogue between the narrator (herself) of her new novel (First? She's new to the group.) and her protagonist, whose name is Rachel. She's trying to work some problems out. Anyway, the beginner reads while the rest of us listen, taking notes, and make editing marks on the four pages which have been provided to us. After finishing the out loud reading, the reader waits while the critiquers continue making their notes and suggestions on the four manuscript pages. After everyone finishes, a discussion ensues, hopefully, in an orderly fashion. The person to the left of the reader starts, revealing their thoughts about the manuscript, positive and negative. For the most part, the others listen during this process until it's their turn. The process continues all the way around back to the reader. The reader has a chance during the process or at its end to comment, ask questions, try and get clarification. Then the next person in line reads and the process continues on, like I said for three hours. Three hours of hard work, if we do the work well. 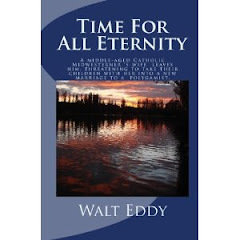 I have written a tax book for writers, Making Expression Less Taxing, and two novels: Time for All Eternity and Alejandro the Great. I have worked on all of these books utilizing feedback I got from this process. M, J, B, and C have all worked on various novels in this group. D is new to the group and, to my knowledge, has not completed a book-length work.